Almost a week into holding the antiquities portfolio, Mostafa Amine, secretary-general of the Supreme Council of Antiquities (SCA), kept his promise and appointed the first batch of temporary staff. But today afternoon, the temporary employees gathered in front of the SCA building protesting the form of appointment contracts provided by the SCA and the Cabinet. According to the Cabinet release, previous years of experience and service in the SCA are not counted. 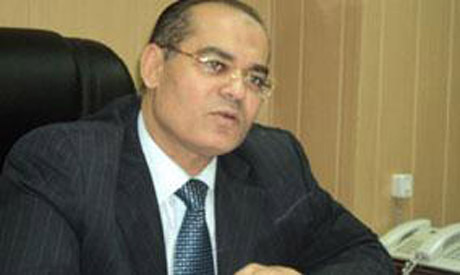 Hassan Ali, one of the employees, told Ahram Online that articles of the new contract "treat us like new graduates". “Years of experience are not counted,” Ali said angrily. He continued that “all the previous years that we spent working, exerting all our efforts, to preserve and protect Egypt’s heritage are not counted.” Such articles, he asserted, will affect salaries, social insurance and pensions. To calm the situation down, Amine issued an urgent report asserting that Article 47 of the Labour Law of 1984 stipulates that contractors who are appointed have the right to calculate the duration of their previous service in their work report. Amine confirmed that the law is stronger than any newly taken decisions. Starting today, he continued, procedures are to be taken to appoint 4065 employees from the temporary staff who represents 25 per cent of the total number of temporary employees. The second batch will includes 16,261 employees.